Like most great challenges, the secret to a successful NaNoWriMo is in the preparation. A little forward planning and consideration can make an amazing difference to your results and your experience. Unless you’re lucky, it’s not every month you spend intensively working on a novel. So November is going to be an unusually busy month! What can you let go, for now? Give some thought to anything that you can put on hold – just for the month. Are there any things that you normally do, but aren’t essential to the smooth running of your life? Can any other hobbies be put on hold? Can any responsibilities be temporarily delegated or scaled back? Are there regular activities that can wait for a few short weeks? For example, dinner parties, shopping, getting lost in a book…. They’ll all still be there in December! And you’ll be free to return to them with a new appreciation, and a sense that you fully deserve to indulge and enjoy them. The run up to NaNoWriMo is a great time to simplify, but this is actually a great thing to do at any time of year, as you might discover that a number of things you ‘just do’, aren’t actually worthy of your time and attention, and you’re ready to let them go for good. So cast an enquiring eye over your timetable – without panic or urgency. Just assess. No drastic action. No drama. Simply review how and where you spend your time – what serves you, and what can be suspended as you devote November to your writing goals and dreams. To simplify is good – but if you have a healthful and supportive daily practice (e.g. exercise, meditation, journalling, inspirational reading etc…) – now is not the time to let that go! You will need both internal and external strength to help you navigate the challenges of the month ahead. And if you don’t already have a daily practice? Since you’re adopting a new regime for this month, you may like to include something small and relatively easy to implement that will support you on a daily basis. It may seem like another task for a busy month, but it could be a wise investment of your time if it increases your energy and productivity. Now is a good time to call in any favours. If you are always the one helping out the other parents, team-mates or workmates, now is the time to ask them for help. They’ll probably be thrilled to have the chance to give back. Besides, people love to help a person who is up to wonderful things. So, if you explain your plan, you may find they’re not only willing to step in and help out, they may be cheering you on from the sidelines, too. And a little social accountability can also be a motivating force. For those days when you’re tempted to let things slide, the prospect of facing a supportive friend or colleague may give you the nudge you need to get over the resistance hump. Stock up on supplies. Unless you find cooking therapeutic, relaxing or ideal for pondering tricky plot puzzles, plan ahead for your basic maintenance. Stock your freezer and cupboards for the month, so that you’re not drawn away from vital book-pondering to spend precious concentration units on; What’s for tea? Being in a group of like-minded people with a similar goal is a proven tactic for staying the course. In-person weekly meet-ups can be an inspiring boost. Or daily check-ins online can also help you feel less alone in your challenge. Do whatever works for you, but notice the effect of the groups or networks you belong to. How do they make you feel? If they leave you feeling energised, motivated, inspired and confident – check in with them on a regular basis. But if you feel drained or prone to Compare & Despair – give them a miss for a while. In the weeks before NaNoWriMo, spend a little time monitoring when and where you get your best ideas. These are your Muse Magnets. If you always come back from a run full of new character ideas, you know what to do when you’re stuck with character problems. Or it may be that driving, gardening or showering work for you. Any mundane chores you do on autopilot can give your subconscious mind the rhythm and quiet to suggest some new plot twists or solutions. 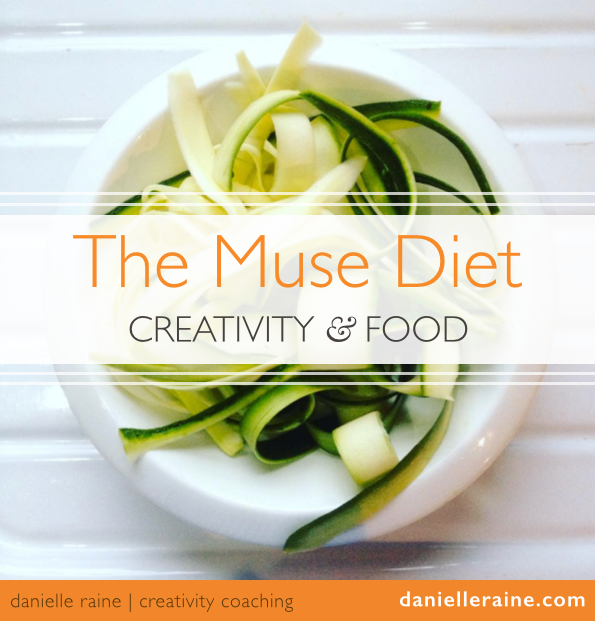 Get to know which activities calm your busy mind and enable your muse to make contact. 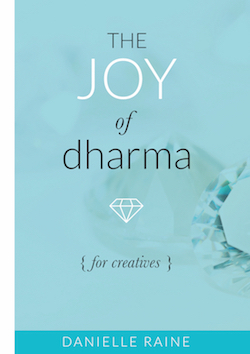 This is priceless info for any creative and will really help you stay inspired during the demanding weeks ahead. Whenever you lean into a creative project, it begins to grow and take over more of your thoughts and attention. So when you dive in head first during NaNoWriMo, it’s an almost total immersion. You flood your conscious mind with your story, and as a result your subconscious mind will very helpfully keep working on your story even when you’ve had enough. So keep notebooks handy to catch all the new ideas and insights and solutions that will keep floating up to your consciousness as you go about the rest of your day. It’s tempting to think that coping with less sleep will give you more time. But what you need for this month is quality energy; not just time at the page, but quality time where you can concentrate, plot, imagine and string a half-decent sentence together. Ensure you maintain good quality sleep, and you will reap the benefits in terms of energy, focus and concentration. If you want the best version of you – fit, well and ready to write – getting enough sleep is essential. And your loved ones will appreciate this one – a cranky, stressed, overtired writer-under-pressure is not often a joy to be around. Besides, if you’re clever, your sleeping time need not be unproductive downtime…. With a little forward planning and intention, you can actually make productive use of your restorative sleeping hours. By reviewing any daily quandaries just before you go to sleep – posing a clear question to your subconscious mind – you can hand over the puzzle to your mind as you sleep, very often being rewarded with the solution as you wake up, or during the course of the following day. It takes a little practice to harness this powerful creative source, but if you’re planning to sleep every night anyway, why not begin to practice? NaNoWriMo will call for a considerable amount of creative output. To keep your creative spirit balanced and happy (rather than drained, spent and exhausted) don’t forget to do the things that inspire you. Remember to play, have fun, relax, spend time with people (real ones) – do the things that fill you up. These simple daily pleasures may seem superficial, and candidates for stripping back from your timetable, but these are the valuable sources of life that feed your creative spirit – and it’s going to be hungry over the coming weeks! So you may even need to replenish these vital stores more than ever. Before you begin NaNoWriMo, spend some time getting clear on why you are doing this. It’s not an easy thing to do! It will challenge you. It will take over your heart and mind for the coming weeks. You’re planning to devote large amounts precious time and energy to this project. You may not know why exactly, just a sense that you want to do it – and that’s more than enough. But if you can imagine the benefits, the fuel behind the desire, it can be a powerful tool to keep you going through the inevitable wobbles. And if you can create a visual representation of your Why, and keep it somewhere you’ll see it daily, it can really help you to stay clear, focus, grounded and on track. So, what’s your Why? And how can you represent it? Maybe mock up your favourite bestseller list to see your name on the top. Or a picture of the TV show you’d love to be featured on with your new book. Or maybe it’s in honour of a loved one, or a long-held dream. Whatever the reason, find or create and image that you can glance at and know instantly why you’re doing this. The Wobbles – those thoughts and moods that make you doubt your dreams and goals, and your power to achieve them. We all face them, they’re part of the creative journey. They may be unavoidable, but it’s possible to limit their power to throw you off track by pre-empting them. Then, when you are feeling calm and confident and capable: Go through each one and argue the opposite. The human brain loves questions, so ask things like: Why is this a good use of my time? …Why am I good at this? … What are some really good reasons to do this? Tap into your Why (see above) and the reasons you’re taking on this incredible challenge. Get all your ‘arguments for’ in writing, where you can refer to them during the upcoming weeks. So there you are! I hope you find these tips helpful. If you have time before November, play around with these suggestions to see which ones work for you. And if you’d benefit from more comprehensive support, please do get in touch. I’d love to help you get your book into the world. I look forward to hearing about your new novel. PS. 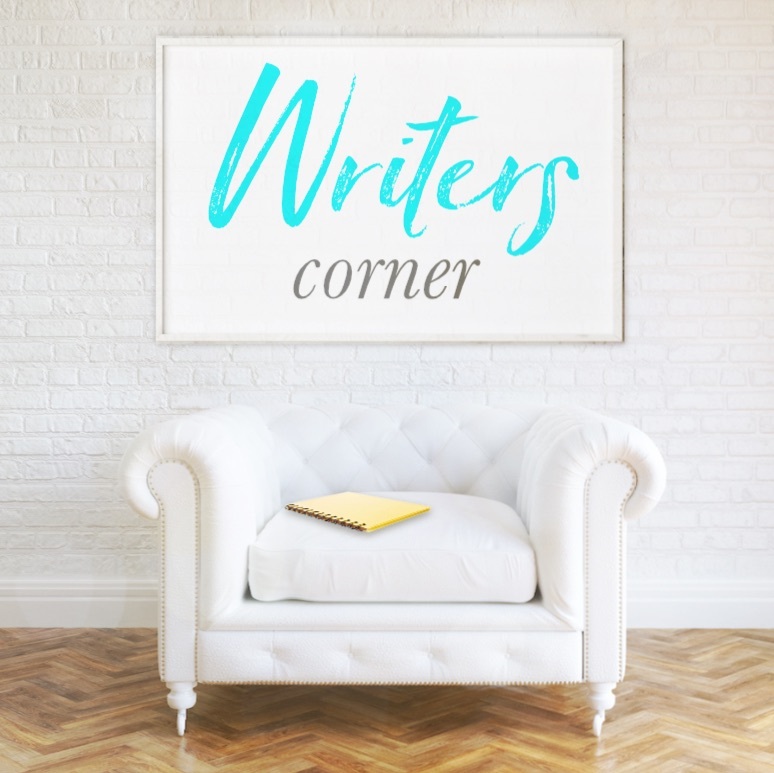 If you’d like more goodies for lovely writer types – sign up for the free Writers’ Corner email series. 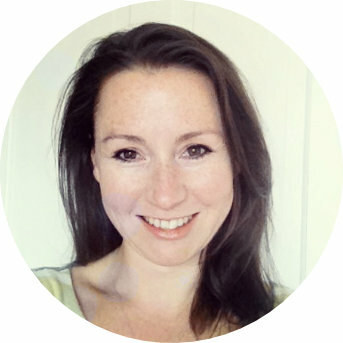 Or join me for a free mini-ecourse designed to help you #writethatbook. Details below! Great tips, thank you. I particularly agree with the importance of looking after yourself during the month. I “won” last year and the best prep I did was to choose a way of getting the words down that was flexible enough to allow me to write from almost anywhere. In my case, it was using Google Docs for the first draft so I could write in my office then transfer to the sofa with a tablet or Chromebook on my lap just for a change of scenery (very important for me). I could also write when I was out – especially important for getting inspiration recorded. The specific technology doesn’t matter (Apple and Microsoft have alternatives) but being able to write anywhere meant that, in those darker days mid-challenge, my office didn’t feel like a jail and NaNoWriMo didn’t feel like a prison sentence! Great insights, Kev – I can see how flexibility and changes of scenery would keep your muse happy. 🙂 And congrats on winning NaNoWriMo! That’s a real achievement. Thank you for sharing your excellent tips – and good luck for this year! I hope you enjoy it. 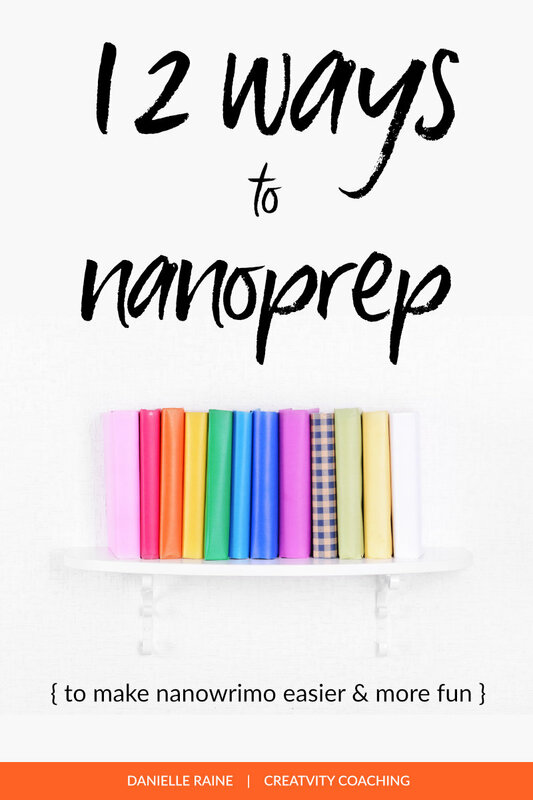 Great tips for NaNo! Balancing input with output is an important reminder. This year, I found myself really burned out in the third week. I would sit down to write and ideas were so hard to come by! I struggled for a couple of days and finally remembered that I needed to refuel on inspiration and input’ Once I had read through a book or poetry, I was feeling that creative fire come back! Thanks Robyn – so glad you found them useful. And yes, burnout is no muse-magnet! Happy to hear you got back on track. 🙂 Bravo for doing NaNoWriMo – what’s next for your book?